Propel prospects down the sales funnel and along “The Buyer’s Journey” by sending them a systematic sequence of offers and content. Another way to drive higher lead quality is through lead nurturing. After the initial lead is captured, “drip” a sequence of emails to grow the relationship with the prospect and guide them down “The Buyer’s Journey.” Pass the leads to sales only after they are mature and closer to a buying decision. Basic lead nurturing can be accomplished without Marketing Automation software. But sophisticated conditional logic needs to be supported in order to accommodate different triggers that can drive variations in the sequence of emails and sales interaction. This is the bread and butter of Marketing Automation. 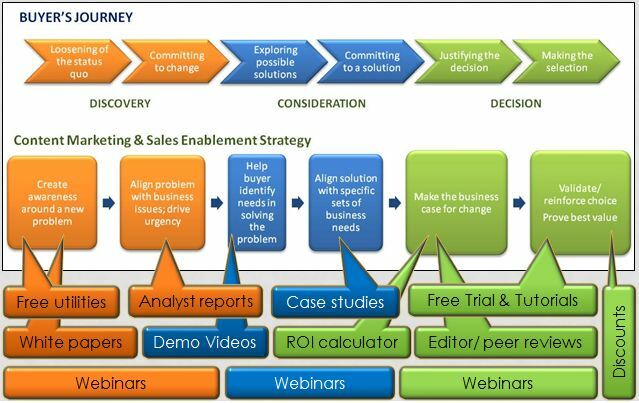 This entry was posted in Buyer's Journey, Hubspot, Lead Nurturing, Marketing Automation, Marketing Planning. Bookmark the permalink.